We’d love your help. Let us know what’s wrong with this preview of Eusebius' Ecclesiastical History by Eusebius. To ask other readers questions about Eusebius' Ecclesiastical History, please sign up. Eusebius (of Caesarea) lived from approximately 260 – 337 A.D. He was a bishop, author of many writings, imprisoned, tortured, and suffered through several Roman persecutions, saw friends martyred including his beloved mentor. Eusebius was a leader and speaker at important early Church councils and synods. He celebrated Constantine’s triumphal accession to power, the ensuing peace and freedom for Christians. Eusebius experienced much of what he put into The Church History. He was not a disintere Eusebius (of Caesarea) lived from approximately 260 – 337 A.D. He was a bishop, author of many writings, imprisoned, tortured, and suffered through several Roman persecutions, saw friends martyred including his beloved mentor. Eusebius was a leader and speaker at important early Church councils and synods. He celebrated Constantine’s triumphal accession to power, the ensuing peace and freedom for Christians. Eusebius experienced much of what he put into The Church History. He was not a disinterested historian by any means, nor did he write history as we think of it today. Today we like to hope our historians are completely objective, that they treat objective truth objectively. Personally I think writers can never be completely objective no matter how hard they try. They always have a reason for writing, or they wouldn’t write. But that is just my subjective view. Eusebius wrote his history as a gift to posterity, that is to us. He wasn’t impartial, nor was he trying to be. Neither did he strive for thoroughness. He wanted to inspire, to give hope. And he had his favorites. Origen, Dionysius and Constantine were the top three. I went into Origen more below. Eusebius is often accused of being too fond of Constantine. 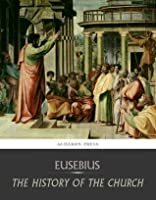 In the concluding section after Chapter 10, Paul Maier balances Eusebius’s panoply of praise with a superb discussion on Constantine’s varied reputation over the centuries. We learn about the early church’s attempts to define what it meant to be ‘church’, and Who Jesus Christ actually was. These questions led to accumulating, reviewing and determining the credibility and validity of the many varied writings. Then repeated councils needed to be called and the necessary persons had to assemble from all parts of the known world during a time when travels was hazardous. This led to the development of doctrines and creeds, and also to defining what was and wasn’t heretical. Eusebius isn’t always the best about explaining this, but fortunately in this edition, Paul Maier has a wonderful commentary at the end of each chapter to fill in the gaps. I was so grateful. Although I have studied Church history before, I still got lost. In my preliminary thoughts below I mentioned some of all I learned, so I won’t repeat myself. Those really interested can see below. There is just so much more I could say about this history but let me limit myself to three more points. Although Eusebius is not a perfect source, he is frequently the only source for many ancient documents otherwise lost to history. Maier cites several instances where Eusebius copied out and included a whole section of a writer’s text which happens to be the only surviving bit of it. The rest of work has not survived. So in that sense, if for no other, we owe Eusebius a huge debt. At times I thought Eusebius gloried in the gruesome in recounting his stories of the deaths of the martyrs. As he was an eyewitness to some of them I do not doubt his testimony and he gives other first person narratives as well. The heroics of the early Christian martyrs will haunt you. No, they didn’t all pass the test. Some ran, others caved in and worshipped the Roman ‘gods’, but of those who endured, oh my, what they went through! I thought I had read some awful atrocities today, but there is nothing new under the sun. The Romans were hideously cruel. Well of course they were. Look what they did to Jesus. At the time The Church History was written, 324 AD, the canon of Sacred Scripture, was still not fully formed, that is, no one in the East or the West or anywhere in all of Christendom had a Bible as we know it today! Some of the episodes within that fascinating period of our Christian heritage are told here in this book. How we acquired our beloved scriptures happened during these first 400 years. If you want to know the story, this is as good a place to start as any. There are many fine photos of the areas discussed and the busts of the Roman generals and emperors throughout the book. A fascinating and disturbing read. Our Christian heritage. Eusebius presents quite a different Church for us; a suffering Church, struggling to define what it meant to be ‘church’, and Who its founder Jesus Christ actually was for starters. These seemingly foundational questions were anything but simple and led to dealing with endless heresies; sorting through numerous writings of varying quality; conducting repeated councils; developing and refining creeds, and yes, even to specifying what concerned Mary, but only because it was her humanity and relationship to Jesus which in the end settled so many questions about Him. Although each heresy was another opportunity to further refine and deepen the Church’s understanding of the great mysteries of God—to those humble enough to submit—it was also a chance for the evil one to lead others astray. There was no official canon then, so these early Christians had to first collect and then sort through all the writings and try to determine what was orthodox from what was not, without computers or any form of communication, all the while battling enemies from within and without. Considering all they were up against, that we have the Sacred Scriptures today is nothing short of miraculous. Eusebius was not a historian as we think of one today. He was neither impartial nor thorough and unapologetically so. He was writing his history for Christian posterity. He has his favorites. Origen was the most important. He devoted his longest chapter, 8, almost exclusively to him. For me it was also the most interesting chapter. I have read bits and pieces about this incredible Church Father—who was also a brilliant apologist* but not a saint—yet never have I encountered so much about Origen as what is here. Still Eusebius neglects to mention why or how Origen’s philosophy strayed into dangerous territory. The reason is because his hero was so remarkably intelligent most could not even understand his writings well-enough to see how they would be controversial. However, if you are interested in an outline of this discussion, read this. One of these days, I am going to have to tackle a biography of this amazing philosopher/theologian or some of his writings. *He is often quoted still today, across all branches of Christian denominations, beloved in the East and West. The greatest tale of a persecuted religious minority toppling an all-encompassing empire until the release of Star Wars. The awe-inspiring story of a mystical sect of oppressed destitutes ending up as the most widely known religion in human history. Coming soon to a church near you! Eusebius weaves a stunning epic with memorable characters, including JESUS, a young Jewish hero whose heroic challenge to authority causes his ultimate downfall... DIOCLETIAN, an evil tyrant whose bloodthirst against t The greatest tale of a persecuted religious minority toppling an all-encompassing empire until the release of Star Wars. Eusebius weaves a stunning epic with memorable characters, including JESUS, a young Jewish hero whose heroic challenge to authority causes his ultimate downfall... DIOCLETIAN, an evil tyrant whose bloodthirst against the brave faithful knows no bounds... and last but not least, CONSTANTINE, an ambitious prince determined to herald the winds of change across the world. I wish evangelicals would read literature such as this. It is a very interesting chronicle of early Christians. It helps one understand how what we call the 'New Testament' was created and preserved, and a fascinating look at the network of early churches and their relationship. It's also notable that Eusebius, Christianity's first historian and a devout Christian, calls into question the validity of the book of Revelation (he does make clear that he is in no position to pass judgment on the boo I wish evangelicals would read literature such as this. It is a very interesting chronicle of early Christians. It helps one understand how what we call the 'New Testament' was created and preserved, and a fascinating look at the network of early churches and their relationship. It's also notable that Eusebius, Christianity's first historian and a devout Christian, calls into question the validity of the book of Revelation (he does make clear that he is in no position to pass judgment on the book's importance). Also, the chronicles of the martyrs and the countless sufferings of early Christians is astounding. This is a very good book by the first great church historian. Eusebius (c. AD 264 – c. 340) was a devout Christian, scholar, historian, author, priest, and eventually the Bishop of Caesarea in Palestine. His “History of the Church” was the first book to record events in the life of the Church from the advent of Christ through the reign of Constantine. It proceeds chronologically and systematically, documenting the growth of the Church as it spread from Jerusalem throughout the whole of the Roman Empire and beyond. From the vast array of topics encompassed in that region and time, Eusebius focuses his history on five: the succession of bishops in the major churches from the apostles through his contemporaries, the corresponding succession of Roman emperors, the development of different heresies and the corresponding efforts to combat them, the canonization of Scripture, and the persecutions and martyrs of the Church. Each of these subjects is treated with care and attention to detail. The line of the bishops, by which the doctrine of apostolic succession is supported, is quite thorough, including occasional biographical sketches, as is the case with the emperors. But it is not hard to tell which topics are the most important to Eusebius: the persecutions of the martyrs and the heresies. More of the book is spent on these two topics than all the others combined. It is not hard to guess why that is so. In the case of the martyrs, Eusebius grew up as a Christian during the years of the great persecution under Diocletian. Not a few of his family members and friends were martyred for their faith, going willingly, even joyfully to their deaths. He spares no details in describing the brutal tortures they endured. That he devotes more space to the biographical sketches of the martyrs than to other topics is not surprising, and it is a great benefit for the Church today. It is important to remember what the early Church endured. It serves as an example for enduring suffering, and a spur to goad us to action to fight persecution when it appears today. In the case of the heresies, Eusebius was jealous for the purity of the Church. The heresies that plagued her through her early history were attacks on that purity committed mostly by self-interested men who sought to exploit her for personal power or wealth. Just as it was important for later generations to understand martyrdom and persecution, it was important for them to understand the heresies, so that they could be recognized when they reared their heads again, as they have repeatedly throughout history. In reading the stories of the martyrs and the heresies, it is easy to see the history of the early church in terms of a war for her purity fought on two fronts. One of those was external, represented by the imperial attacks in the form of state-sanctioned persecution. The other was internal, represented by the heretical teachings that surfaced. The contrast between the two could not be more stark, particularly with regard to the Church’s response. Christians went peacefully to their deaths. Not that there was no grief over the persecutions or no desire for them to cease, but there appeared to be no question of organized resistance against Rome. At no time did Christians take up arms against their terrible enemy. But against the heresies, the Church was relatively quick to organize against them, root them out and expel the heretics. In both cases, the end result was the same: the purity of the Church was upheld. Who but a true Christian would convert under the threat of death? Who but a true Christian remained when the heretics were exposed and expelled? Though I could easily go on about Eusebius and his book, I will make note of only two other items. First, with regard to the canon of Scripture, it is clear from reading Eusebius that establishing the canon was not so much a matter of people coming together to decide what books to include or exclude as part of God’s Holy Word as it was of acknowledging those books that the Church had already recognized as authoritative. This stands in sharp contradistinction to the ideas of many modern critics. Second, for the first three centuries of the Church, there was neither a central church nor a central individual in the Church. The true faith was not centered on Rome and there was no pope. Churches and bishops were all more or less viewed as equals. If the church in Jerusalem possessed somewhat more prestige, that was only because it was the first to be established. It had no more authority than any other church, nor did any bishop have more authority than another. In the case of controversies, councils were called and decisions made based on the authority of the Scriptures and the teaching of the apostles. This is not meant to be a critique of the Roman church today, merely an observation. Je m'intéresse de plus en plus à l'histoire chrétienne, et il m'a semblé bon de commencer par cet auteur. Eusèbe de Césarée est réputé être le premier historien a avoir compilé les événements ayant marqué l'église lors des quatre premiers siècles de notre ère. Césarée en Palestine, la ville dont il est issu, ne subsiste de nos jours qu'à l'état de ruine, ayant été secoué par les tremblements de terre qui frappent habituellement cette région du monde. Les vestiges d'une riche cité grecque, et de Je m'intéresse de plus en plus à l'histoire chrétienne, et il m'a semblé bon de commencer par cet auteur. Eusèbe de Césarée est réputé être le premier historien a avoir compilé les événements ayant marqué l'église lors des quatre premiers siècles de notre ère. Césarée en Palestine, la ville dont il est issu, ne subsiste de nos jours qu'à l'état de ruine, ayant été secoué par les tremblements de terre qui frappent habituellement cette région du monde. Les vestiges d'une riche cité grecque, et de ce qui fut un important port de l'époque des croisades, y sont encore visibles. L'enquête de notre auteur débute juste après les actes des apôtres : on y apprend ce que fut l'implantation des premières communautés chrétiennes au sein de l'empire, surtout en Asie Mineure, en Judée et en Égypte, mais aussi à Rome. J'ai apprécié certaines anecdotes assez souriantes, en particulier une sur Jean qui se finit bien, où il remet un brigand dans le droit chemin. Certaines sont touchantes, comme cet ecclésiaste romain obscur sur la tête duquel se pose une colombe, alors qu'il s'agit de désigner le nouvel évêque : comme un homme, le peuple se lève et lui attribue cet honneur. Mais assez rapidement, le récit prend une allure très sombre. Tout commence avec la fameuse guerre des Juifs, dont Flavius Josèphe a raconté les péripéties et qui sont venues jusqu'à nous. Eusèbe cite abondamment cet auteur, et rappelle ce que fut le terrible siège de Jérusalem. Il est un peu dérangeant de voir Eusèbe interpréter le triste destin des juifs comme une punition divine, alors que lui même clame croire en la divinité d'un juif qui semble n'avoir eu toute sa vie d'autre souci que d'adoucir les conditions de vie de ses compatriotes coreligionnaire, de soulager leurs peines, et non pas de les tourmenter. Vient ensuite le récit des persécutions : Eusèbe s'attarde particulièrement à décrire les supplices raffinés et monstrueux que des païens cruels ont fait subir aux premiers chrétiens. La constance et le courage avec lequel les plus endurcis ont affrontés ces horreurs ont certes impressionnés leurs bourreaux, mais on sort plus écœuré qu'édifié de la lecture de ces récits horribles. Un rare clin d'œil à l'occident est fait à l'occasion du martyr de Blandine, persécutée à Lyon sous Marc Aurèle, ainsi que Pothin le relate dans une lettre. Dès cette époque, les restes de ces malheureux firent l'objet de dévotions. On aimerait savoir plus en détail ce que furent les raisons qui inspirèrent ces persécutions, mais il faut se contenter le plus souvent de l'explication qu'elles furent les machinations de quelque démon malfaisant, ou bien une punition divine suite à quelque faute. Lorsque les persécuteurs sont fatigués de verser du sang humain, ils subissent peu après un châtiment divin, qui se traduit par une putréfaction interne et des douleurs atroces, décrites avec une foule de détails abominables, et dont la lecture est à peine soutenable. Acculés à résipiscence par la douleur, ils exhalent enfin leur vie avec leur sang. Lorsque les persécutions laissent place à une relative tolérance, commence alors la grande multiplication des sectes. Chacun souhaite s'attribuer le beau titre de chrétien, car la personne de Jésus semble plaire universellement, mais rare sont ceux qui s'accordent sur la signification du terme, en particulier ce que doivent croire ceux qui s'arrogent ce titre. A chacun, suivant ses interprétations, de traiter d'hérétiques ceux qui embrassent d'autres opinions: en particulier sur les questions les plus futiles et les plus vaines, qui prennent alors des dimensions étonnantes, et font naître des inimitiés et des haines bien surprenantes chez des hommes qui se piquent de longanimité. Si bien qu'il s'ensuit une sorte de sélection naturelle "darwinienne" des sectes, qui aboutit à la victoire de la plus avisée politiquement. Il ne peut s'agir que de la plus vraie et de la plus pure, selon l'auteur, puisque tout n'arrive que par la volonté de Dieu. Mais en dehors de ces aspects étonnants, voir désagréables, le récit d'Eusèbe fourmille d'informations très utiles, en particulier sur qui furent les premiers auteurs chrétiens et la liste de leurs écrits. Eusèbe s'attarde en particulier sur le prolixe et savant Origène, à qui il voue la plus vive admiration, et dont il raconte la vie avec force détails, défendant sa mémoire contre les accusations d'hérésie. Au final, je suis bien content d'avoir découvert ce premier panorama de ce que furent les débuts de la chrétienté, et j'ai bien envie d'en apprendre plus. Eusebius is a scholar, I learnt a lot of new things from this book. I am encouraged by the Early Church fathers especially Origen. It seems that the Early Christians had to face internal threats (heresies), external threats (ridicule, persecution), this is simply too much to Handle but God blessed them. The persecutions in the Roman empire is appalling. There's depth details about persecution especially during Diocletian Era, I could not digest a lot. I wish the Christians today would read this Eusebius is a scholar, I learnt a lot of new things from this book. I am encouraged by the Early Church fathers especially Origen. It seems that the Early Christians had to face internal threats (heresies), external threats (ridicule, persecution), this is simply too much to Handle but God blessed them. The persecutions in the Roman empire is appalling. There's depth details about persecution especially during Diocletian Era, I could not digest a lot. I wish the Christians today would read this and teach their children. All the Church fathers had written polemics, defended the Christian claims during their Era. The Questions today faced by the Church are nothing great compared to their Era. Overall, a Great book, Eusebius taught me how the Early Bishops were, they were scholars, preachers, philosophers. The modern day commentary and footnotes enhance the incredibly pleasurable writing of Eusebius. I always wonder why more modern day believers don’t explore the fundamental roots of their own modern day beliefs from some of the original foundational documents such as this book. I don’t think I’ve ever read an Early Medieval history book, or an Early Christian history book which did not quote extensively from Eusebius. I know I now have to read Josephus because of Eusebius. Hoopla has an audio vers The modern day commentary and footnotes enhance the incredibly pleasurable writing of Eusebius. I know I now have to read Josephus because of Eusebius. Hoopla has an audio version of his book that I will borrow for free. Though, I would much prefer a version like this book that has explanatory footnotes and commentaries. The translator, Maier, had a fairly good discussion on Josephus’ mentions of Jesus and what scholars believe to be extrapolations or not, and the footnotes and commentary overall did not go wasted on me. The only fault with this audible version is that I wasn’t always able to distinguish the footnote or commentary from Eusebius’ writings. I wish that the reader had been told to say ‘footnote’ and ‘end of footnote’ in the narration. But, that tells me how good of a writer Eusebius really was because his writing flows like a modern day conversation between friends. To understand who we are today it sometimes requires understanding where we came from. Why is what we call the bible today the bible, or what does Jesus’ nature mean or what’s this about the Arian controversy, what’s all this about martyrs and why it is so important for the church’s history, and why are the Donatists so cool to understand (I’m going to give you a hint, it has something to do with the reformation and Martin Luther, but of course Eusebius and Augustine don’t know that), and how does the ‘catholic church’ (i.e., ‘catholic’ means ‘universal’ and the early ‘catholic church’ meant all are welcome) become a ‘Catholic Church’ (i.e. ‘universal’ means everywhere). Eusebius explains how the early orthodox Christians world thought about itself and allows one to anticipate the transition to Augustine who mostly defines the medieval Catholic world until Thomas Aquinas comes along in 1250. Eusebius always takes an orthodox (mostly from a Greek perspective) position, but all of these kinds of things lurk within the text and is incredibly well presented and are necessary for understanding where we are today. wheless thinks that eusebius is the greatest liar in history. dunno about that. this seems reasonably credible. problem with wheless is that he needs christianity to be fraudulent in order for it to be wrong; i think it can be dead wrong even if it's 100% true. Early Christian history and the political changes it created in Israel, Palestine, Roman and Egyptian history. This is a very helpful source on early church history, being the first major church history book written (A.D. 324). It's not terribly well written, but it makes up for that in its interesting subject matter. It shows an early church with real, personal connections with Jesus and the Apostles. It tells of its disputes with the pagans and with heretics. It shows their persevering through persecution and their victory over Rome. Whatever weaknesses Eusebius had as a historian by modern standards, This is a very helpful source on early church history, being the first major church history book written (A.D. 324). It's not terribly well written, but it makes up for that in its interesting subject matter. It shows an early church with real, personal connections with Jesus and the Apostles. It tells of its disputes with the pagans and with heretics. It shows their persevering through persecution and their victory over Rome. THE HISTORY OF THE CHURCH FROM CHRIST TO CONSTANTINE. (ca. 300 A.D.). Eusebius. ***. I did my best to read this history, but couldn’t make it through. This is an important book because it is the only surviving historical record of the Church during its first 300 years. Its language and style, however, were off-putting to my efforts. The translator (G. A. Williamson) did his best in providing references to the author’s work, but those references would have required having a copy of the Bible by m THE HISTORY OF THE CHURCH FROM CHRIST TO CONSTANTINE. (ca. 300 A.D.). Eusebius. ***. I did my best to read this history, but couldn’t make it through. This is an important book because it is the only surviving historical record of the Church during its first 300 years. Its language and style, however, were off-putting to my efforts. The translator (G. A. Williamson) did his best in providing references to the author’s work, but those references would have required having a copy of the Bible by my side at all times. I am sure that this book is required reading for anyone majoring in religious studies, but I don’t feel that its contents are accessible to the average reader. Eusebius (c. AD 260-339) was a scholar who lived most of his life in Caesarea in Palestine. His work provided the model for later hidtorians to follow. His intent was to trace the history of the Church from the time of Christ to the Great Persecution at the beginning of the fourth century and ending with the conversion of the Emperor Constantine. The work quotes extensively from original sources which, unfortunately, have all disappeared. I bought this book to continue learning about the beginnings of the Church. Eusebius was alive during the third to fourth centuries of the Church. He started his history with Jesus and his disciples and ended it with his own current time--the era of Constantine. Eusebius was very thorough in his writing and quoted many other Church writings and Roman writings of the times. It took me quite a while to read this book (it very detailed and quite dense). The writing is in depth and so full of inform I bought this book to continue learning about the beginnings of the Church. Eusebius was alive during the third to fourth centuries of the Church. He started his history with Jesus and his disciples and ended it with his own current time--the era of Constantine. Interesting to read alongside The Early Church. Major source on the early Church naturally as Eusebius was active in the eastern Mediterranean there is much less information about what was happening in the western part of the Roman Empire and even less about what was happening beyond the boundaries of the Empire in Armenia and Georgia. The first surviving history of the Christian Church is well served by this translation and commentary. Eusebius has the occasional dry passage, but his perspective as a Christian writing about Christians in first three centuries of the Roman Empire more than make up for this. Eusebius's account of the early church is one of the most valuable sources of Ecclesiastical history that we have. Sadly Eusebius is not always a particularly reliable narrator. Although he shows more skepticism than some might expect, he ultimately spends a lot of time giving extensive accounts of the deaths of various individual martyrs when accounts of theology or even politics would probably be more highly valued by the modern day scholar. As I read, I took some notes which I've included belo Eusebius's account of the early church is one of the most valuable sources of Ecclesiastical history that we have. Sadly Eusebius is not always a particularly reliable narrator. Although he shows more skepticism than some might expect, he ultimately spends a lot of time giving extensive accounts of the deaths of various individual martyrs when accounts of theology or even politics would probably be more highly valued by the modern day scholar. As I read, I took some notes which I've included below. If you're interested in the text, they might be worth a look - and if you're planning to read it in the future, they point you in the direction of some of the more interesting things to look out for. I focus mainly on Eusebius's accounts of theology. Book One - An account of the general history of the Old Testament. Eusebius also makes the claim that the pre-covenant Hebrews were adherents of the true faith (i.e. Christianity), and that figures such as Abraham were Christians in practice and essential belief, albeit without Jesus Christ. Josephus is relied on heavily as a historical source, as Eusebius had a limited command of Hebrew. This chapter also quotes a letter purpotedly written by Jesus Christ to King Abgar V of Edessa. Scholarship is divided as to whether the letter has any historicity, but it's a fascinating artifact nonetheless. Book Two - This book tells the story of the Apostles and the Apolistic Fathers as far as the end of Acts (and a little bit further). Eusebius spends a reasonable amount of time discussing James, the brother of Jesus, about whom sadly little is written. Eusebius relies heavily on Josephus as before, as well as on Philo and Hegesippus. By some historical tragedy, the works of Hegesippus have been lost. His chronicles of the early Church were written in the second century and would have been an invaluable source of history from this period if only they had survived. The quotations in Eusebius's work are the largest passages still extant. Another interesting point of note is Eusebius's acceptance that the author Luke-Acts is the same individual as Luke of Colossians 4:14 (or at the very least, somebody who travelled with Paul). Eusebius is sometimes skeptical of the authorship of Biblical books so this initially took me by surprise. Eusebius also puts forward the historically very popular idea that the destruction of Jerusalem under Vespasian was a result of the God's anger towards the Jews for killing Jesus - a view that in its expanded form says that Jews being cast out into the diaspora is their punishment for killing Christ. 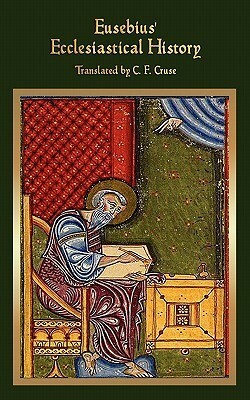 Of John’s writings, besides the gospel, the first of the epistles had been accepted as unquestionably his by scholars both of the present and of a much earlier period: the other two are disputed. As to the Revelation, the views of most people to this day are evenly divided. At the appropriate moment, the evidence of early writers shall clear up this matter too. It will be well, at this point, to classify the New Testament writings already referred to. We must, of course, put first the holy quartet of the gospels, followed by the Acts of the Apostles. The next place in the list goes to Paul’s epistles, and after them we must recognize the epistle called 1 John; likewise 1 Peter. To these may be added, if it is thought proper, the Revelation of John, the arguments about which I shall set out when the time comes. These are classed as Recognized Books. Those that are disputed, yet familiar to most, include the epistles known as James, Jude, and 2 Peter, and those called 2 and 3 John, the work either of the evangelist or of someone else with the same name. Among Spurious Books must be placed the ‘Acts’ of Paul, the ‘Shepherd’, and the ‘Revelation of Peter’; also the alleged ‘Epistle of Barnabas’, and the ‘Teachings of the Apostles’, together with the Revelation of John, if this seems the right place for it: as I said before, some reject it, others include it among the Recognized Books. Moreover, some have found a place in the list for the ‘Gospel of Hebrews’, a book which has a special appeal for those Hebrews who have accepted Christ. These would all be classed with the Disputed Books, but I have been obliged to list the latter separately, distinguishing those writings which according to the tradition of the Church are true, genuine, and recognized, from those in a different category, not canonical but disputed, yet familiar to most churchmen; for we must not confuse these with the writings published by heretics under the name of the apostles, as containing either Gospels of Peter, Thomas, Matthias, and several others besides these, or Acts of Andrew, John, and other apostles. To none of these has any churchman of any generation ever seen fit to refer in his writings. Again, nothing could be farther from apostolic usage than the type of phraseology employed, while the ideas and implications of their contents are so irreconcilable with true orthodoxy that they stand revealed as the forgeries of heretics. It follows that so far from being classed even among Spurious Books, they must be thrown out as impious and beyond the pale. The really interesting thing in this discussion is how the New Testament canon remains largely uncodified. I previously imagined that by Eusebius's day (the fourth century), the canon of the New Testament would have been reasonably well established. Although the Gospels and Acts are unquestionably accepted by Eusebius as divine, the Epistles seem to be still under debate, and he very openly speculates that Revelation may not be an inspired text. It seems only Matthew through Acts were conclusively accepted canonical texts in his period. In his own book Papias gives us accounts of the Lord’s sayings obtained from Aristion or learnt direct from the presbyter John. Having brought these to the attention of scholars, I must now follow up the statements already quoted from him with a piece of information which he sets out regarding Mark, the writer of the gospel: This, too, the presbyter used to say. ‘Mark, who had been Peter’s interpreter, wrote down carefully, but not in order, all that he remembered of the Lord’s sayings and doings. For he had not heard the Lord or been one of His followers, but later, as I said, one of Peter’s. Peter used to adapt his teachings to the occasion, without making a systematic arrangement of the Lord’s sayings, so that Mark was quite justified in writing down some things just as he remembered them. For he had one purpose only – to leave out nothing that he had heard, and to make no misstatement about it.’ Such is Papias’ account of Mark. Of Matthew he has this to say: Matthew compiled the Sayings in the Aramaic language, and everyone translated them as well as he could. Papias also makes use of evidence drawn from 1 John and 1 Peter, and reproduces a story about a woman falsely accused before the Lord of many sins. This is to be found in the Gospel of the Hebrews. This is all that it is necessary to add to the passages I have quoted. Sadly, Papias's work is lost. Book Four - In this book, Eusebius writes briefly about the circumcised leaders of the early church, after Paul, Peter, James etc. before going on to briefly describe Bar Kokhba revolt and the suppression of the Jews that followed it. He also stops to denounce the gnostics and one or two other secret cults, albeit briefly and without sustained reference to their theology. He spends a little more time discussing Marcion, which is a fascinating topic, but the treatment is still ultimately brief. A good deal of the chapter is given over to discussing the life of Polycarp, who proved very hard to kill. When he had offered up the Amen and completed his prayer, the men in charge lit the fire, and a great flame shot up. Then we saw a marvellous sight, we who were privileged to see it and were spared to tell the others what happened. The fire took the shape of a vaulted room, like a ship’s sail filled with wind, and made a wall round the martyr’s body, which was in the middle not like burning flesh but like gold and silver refined in a furnace. Indeed, we were conscious of a wonderful fragrance, like a breath of frankincense or some other costly spice. At last, seeing that the body could not be consumed by the fire, the lawless people summoned a confector to come forward and drive home his sword. When he did so there came out a stream of blood that quenched the fire, so that the whole crowd was astonished at the difference between the unbelievers and the elect. To the elect belonged this man, the most wonderful apostolic and prophetic teacher of our time, bishop of the Catholic Church in Smyrna. For every word that he uttered was and shall be fulfilled. The remainder of the chapter is given over to quoting and occassionally briefly discussing various epistles and other documents written by figures from the early chuch. Book Five - Other historians have confined themselves to the recording of victories in war and triumphs over enemies, of the exploits of the commanders and the heroism of their men, stained with the blood of the thousands they have slaughtered for the sake of children and country and possessions; it is peaceful wars, fought for the very peace of the soul, and men who in such wars have fought manfully for truth rather than for country, for true religion rather than for their dear ones, that my account of God’s commonwealth will inscribe on imperishable monuments; it is the unshakeable determination of the champions of true religion, their courage and endurance, their triumphs over demons and victories over invisible opponents, and the crowns which all this won for them at the last, that it will make famous for all time. This quotation, which is part of the introduction of the book, is followed by a prolonged quotation listing the deeds of various martyrs. Matthew published a written gospel for the Hebrews in their own tongue, while Peter and Paul were preaching the gospel in Rome and founding the church there. After their passing, Mark also, the disciple and interpreter of Peter, transmitted to us in writing the things preached by Peter. Luke, the follower of Paul, set down in a book the gospel preached by him. Lastly John, the disciple of the Lord, who had leant back on His breast, once more set forth the gospel, while residing at Ephesus in Asia. Ultimately however, this book consists mostly of accounts of martyrdom. Despite very brief treatments of a few historical questions as well as a few short accounts of some of the beliefs of Marcionites, the topic never strays too far from those who died in various unpleasant ways for God. The man who was enabled to become a minister of the New Covenant, not of the letter but of the spirit, Paul, proclaimed the gospel from Jerusalem, in a wide sweep as far as Illyricum.1 But he did not write to all the churches he had taught; and to those to which he did write he sent only a few lines. Peter, on whom is built Christ’s Church, over which the gates of Hades shall have no power,2 left us one acknowledged epistle, possibly two – though this is doubtful. Need I say anything about the man who leant back on Jesus’ breast, John? He left a single gospel, though he confessed that he could write so many that the whole world would not hold them.3 He also wrote the Revelation, but was ordered to remain silent and not write the utterances of the seven thunders.4 In addition, he left an epistle of a very few lines, and possibly two more, though their authenticity is denied by some. Anyway, they do not total a hundred lines between them. Book Seven - I took no notes on this chapter while I was reading. Book Eight - Here begins the events which occurred during Eusebius's life time. He begins by describing in highly emotive language the persecution of Christians under Diocletian. Next, in Eusebius's typical style, there are a number of extended accounts of the deaths of martyrs. He goes on to very briefly describe the power struggle that ended with Constantius as emperor in the West. He then launches a scathing attack on Maximian (Contantius's co-emperor in the East) including accusing him of witchcraft. Constantius dies in York and his son, Constantine, is declared emperor. Book Nine - Another Max, Maxentius flip flops between being at one moment acceptable and the next very evil. In the previous book, it was established that he was persecuting Christians in Rome, and pretending to the position of ruler. However, ultimately he decides to stop. In this book, he picks it up again. Eusebius then switches focus and briefly describes the Armenian war and its great cost. He also laments that it happened - as the Armenians were (and still are) a Christian people. This is also the chapter in which Constantine begins to play a major role in the narrative with Eusebius referring to him with extremely positive language as he describes his triumph over Maxentius. The senior in imperial rank and position, Constantine, was the first to feel pity for the victims of tyranny at Rome. Calling in prayer on God in heaven and on His Word, Jesus Christ Himself, the Saviour of all, to come to his aid, he advanced at the head of all his forces, intent on recovering for the Romans the liberty of their ancestors. Book Ten - This book is given over to exulting Jesus Christ and Emperor Contantine. It's not always exactly clear which one he's exulting. The line is often blurred between the two and I suppose maybe that's kind of the point. For which of the kings who ever lived achieved such greatness as to fill the ears and mouths of all men on earth with his name? What king established laws so just and impartial, and was strong enough to have them proclaimed in the hearing of all mankind from the ends of the earth and to the furthest limit of the entire world? Who made the barbarous, uncivilized customs of uncivilized races give place to his own civilized and most humane laws? Who was for whole ages attacked on every side, yet displayed such super-human greatness as to be for ever in his prime and to remain young throughout his life? Who so firmly established a people unheard-of from the beginning of time that it is not hidden in some corner of the earth but is found in every place under the sun? Who so armed his soldiers with the weapons of true religion that their souls proved tougher than steel in their battles with their opponents? Which of the kings wields such power, leads his armies after death, sets up trophies over his enemies, and fills every place, district, and city, Greek or non-Greek, with votive offerings – his own royal houses and sacred temples, like this cathedral with its exquisite ornaments and offerings? ENGLISH: First book on the History of the Catholic Church, (this is the name Eusebius uses, in books IV, VI, VII and X), which inaugurated a literary genre and imposed strict historical rules, such as the support of statements by citations of documents. In fact, many ancient documents have been preserved in whole or in part thanks to the citations by Eusebius of Caesarea. ESPAÑOL: Primer libro sobre la Historia de la Iglesia Católica (así la llama Eusebio, en sus libros IV, VI, VII y X), que inau ENGLISH: First book on the History of the Catholic Church, (this is the name Eusebius uses, in books IV, VI, VII and X), which inaugurated a literary genre and imposed strict historical rules, such as the support of statements by citations of documents. In fact, many ancient documents have been preserved in whole or in part thanks to the citations by Eusebius of Caesarea. ESPAÑOL: Primer libro sobre la Historia de la Iglesia Católica (así la llama Eusebio, en sus libros IV, VI, VII y X), que inauguró un género literario e impuso reglas históricas muy estrictas, como el apoyo de las afirmaciones por citas de documentos. De hecho, muchos documentos antiguos se han conservado en todo o en parte gracias a las citas de Eusebio de Cesarea. Extremely rewarding. This took way longer to read than planned but the primary source material here in Eusebius is excellent. This will remain on the shelf as a valuable resource as well. Eusebius’ praise is directed mostly towards Origen and Constantine and I’m totally ok with that. A must read for pastors and lay theologians alike, along with the other obvious ones of early church history like Josephus and the ANFathers. This was quite interesting. Eusebius writes about the beginnings of the Church in a very thorough way, though his thoughts jump occasionally, making him repetitive, specially when talking about heresies. I liked the parts about deciding the scriptural canon, Origen, and the edicts of Constantine. The gruesome details of persecution and martyrdom were hard to read. Classic for the 'real die hards'. A really insightful and inspiring look into the life of the church - its teachings, practices, leadership, struggles, sufferings, and triumphs - during its first three centuries. The sadistic cruelty that many of our forebears in the Faith endured throughout these early years during the periods of persecution, which, contrary to common misconception, were for the most part localized and intense but relatively brief, are quite unimaginable from the vantage point of the average American Christian A really insightful and inspiring look into the life of the church - its teachings, practices, leadership, struggles, sufferings, and triumphs - during its first three centuries. The sadistic cruelty that many of our forebears in the Faith endured throughout these early years during the periods of persecution, which, contrary to common misconception, were for the most part localized and intense but relatively brief, are quite unimaginable from the vantage point of the average American Christian of today. The perspective - and gratitude - that are afforded in that regard are alone enough to add this important work to every Christian's "must read" list. Eusebius is the first Christian to write a church history. Paul Maier provides an excellent translation. Footnotes indicate points at which later scholarship believes Eusebius to have been inaccurate. At the end of each book within the Church History Maier has added his own commentary, which may provide more background information about the era of Eusebius's discussion. Sometimes the commentary provides some evaluation of Eusebius's history and the state of scholarly discussion. My edition is a Eusebius is the first Christian to write a church history. Paul Maier provides an excellent translation. Footnotes indicate points at which later scholarship believes Eusebius to have been inaccurate. At the end of each book within the Church History Maier has added his own commentary, which may provide more background information about the era of Eusebius's discussion. Sometimes the commentary provides some evaluation of Eusebius's history and the state of scholarly discussion. My edition is a hardback with glossy pages and full-color photographs of significant places and artifacts related to the history. Maier's translation is a lot more fluid than others. If one wants to see the cultivation of the Church from the time of Christ to the Edict of Milan, this is the book for you. Want to see apostolic succession of the thrones of the five different sees of early Christendom? Get this book. Though Eusebius was an Arian sympathizer, this tome is crucial to our understanding of the early church because it is the only extant church history we have from this era. I cannot stress enough.. Get this! Forgiv Maier's translation is a lot more fluid than others. If one wants to see the cultivation of the Church from the time of Christ to the Edict of Milan, this is the book for you. Want to see apostolic succession of the thrones of the five different sees of early Christendom? Get this book. Though Eusebius was an Arian sympathizer, this tome is crucial to our understanding of the early church because it is the only extant church history we have from this era. I cannot stress enough.. Get this! Amazing. Sunday School doesn't teach that this stuff even exists. Eusebius' work was a great read. There is so much that isn't said about the church history in the Bible. Eusebius goes into great depth of the time period of Jesus' life and the next couple of centuries to follow. He plots out the lineage of disciples starting with the original apostles. There is so much to be learned from his writing. This book deserves either four stars or two, depending on how right Candida Moss is in her book about the reliability of these early histories. I think a four is on solid ground, for now. His soaring praise of Constantine is forgivable. Besides that, that, there's nowhere else to turn for this kind of information. It was interesting to find out, first hand, just how different the church was in the late 4th century than it is now, in all but the essentials. The martyr stories were riveting. I'm interested in the Bible and the early history of Christianity, so I jumped on the book when I found it in a used bookstore - what could be more interesting than a 4th-century history of the church? Well, my interest quickly turned into exasperation. Eusubius consulted a large number of early historical manuscripts - not an easy task in those days - but he was far from an unbiased historian. When things go poorly for the enemies of Christianity, Eusubius attributes this to God's wrath. And wh I'm interested in the Bible and the early history of Christianity, so I jumped on the book when I found it in a used bookstore - what could be more interesting than a 4th-century history of the church? Well, my interest quickly turned into exasperation. Eusubius consulted a large number of early historical manuscripts - not an easy task in those days - but he was far from an unbiased historian. When things go poorly for the enemies of Christianity, Eusubius attributes this to God's wrath. And when things go well for Christians, he attributes it to God's providence. But the opposite isn't true - when heathens are in power, and when Christians are persecuted, God is not responsible. And Eusubius is quick to accept some pretty incredible stories and manuscripts - he reproduces a letter from Jesus to King Abgar, and recounts that some early Christian congregations were able to bring the dead back to life. Okay, really? Paul Maier's commentary is invariable informative and helpful. The pictures (every few pages!) gave an added dimension to the story being told. It is amazing how many busts of emperors and other great men still survive. I feel I could recognize Constantine if I met him on the street. Eusebius tells the history of Christianity fomr the prophecies of Christ and his Birth and life to the establishment of Christianity by Constantine. The history is full of fascinating detail that give a much more coc Paul Maier's commentary is invariable informative and helpful. The pictures (every few pages!) gave an added dimension to the story being told. It is amazing how many busts of emperors and other great men still survive. I feel I could recognize Constantine if I met him on the street. Eusebius tells the history of Christianity fomr the prophecies of Christ and his Birth and life to the establishment of Christianity by Constantine. The history is full of fascinating detail that give a much more cocmplege picture of early Christians than I had ever encountered. Which books were included in Scripture is described more in terms of which church father supported / opposed which books. An interesting argument against Revelation being written by the same John who wrote the gospel and epistles. Since unike those writings, he identifies himself by name (7.25, pages 272-274) The story of the martyrs is inspiring to a greater courage and devotion to Christ. I've admittedly read this book in sections over the years, and as with a great many "histories", I think Eusebius is best taken in bite sized chunks. This is not because it is not fascinating, but because often for the modern reader understanding the references he makes can take time to piece together. That being said, consistently one of the claims I continue to hear from Protestant sectors of Christianity is that "up until Constantine, the Church had things basically correct....then things sta I've admittedly read this book in sections over the years, and as with a great many "histories", I think Eusebius is best taken in bite sized chunks. This is not because it is not fascinating, but because often for the modern reader understanding the references he makes can take time to piece together. That being said, consistently one of the claims I continue to hear from Protestant sectors of Christianity is that "up until Constantine, the Church had things basically correct....then things started going off track" - or something to that effect. One of the clearest and straightforward rebuttals to such such sophistry is found in Eusebius, who often inadvertently makes the case for continuity of faith practiced by those who were persecuted for it, precisely by describing the things they were persecuted for. Overall a wonderful addition to any library, and should be required reading for any who wish to opine on the "early church". Eusebius of Caesarea (c. AD 263 – 339) also called Eusebius Pamphili, was a Roman historian, exegete and Christian polemicist. He became the Bishop of Caesarea in Palestine about the year 314. Together with Pamphilus, he was a scholar of the Biblical canon. He wrote Demonstrations of the Gospel, Preparations for the Gospel, and On Discrepancies between the Gospels, studies of the Biblical text. As Eusebius of Caesarea (c. AD 263 – 339) also called Eusebius Pamphili, was a Roman historian, exegete and Christian polemicist. He became the Bishop of Caesarea in Palestine about the year 314. Together with Pamphilus, he was a scholar of the Biblical canon. He wrote Demonstrations of the Gospel, Preparations for the Gospel, and On Discrepancies between the Gospels, studies of the Biblical text. As "Father of Church History" he produced the Ecclesiastical History, On the Life of Pamphilus, the Chronicle and On the Martyrs.